Hurricane Matthew thankfully missed major cities in South Florida and downgraded to a less powerful storm before slamming into North and South Carolina. Significant flooding still occurred throughout communities close to rivers and waterways in several locations throughout coastal areas of the U.S. southeast. 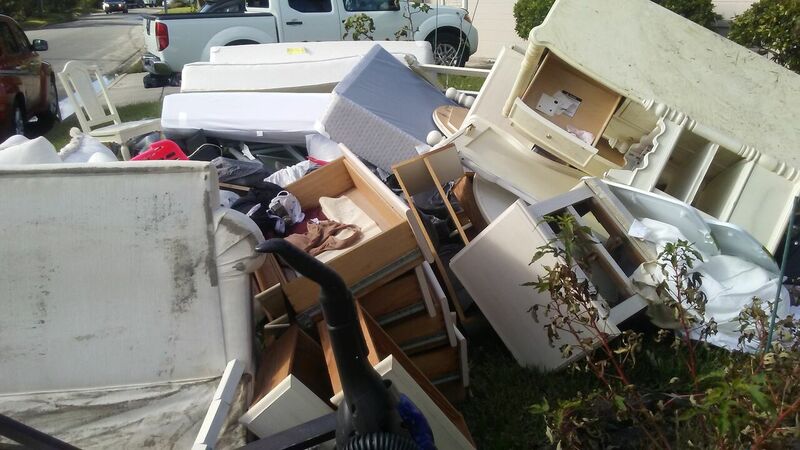 Many families lost everything they owned. 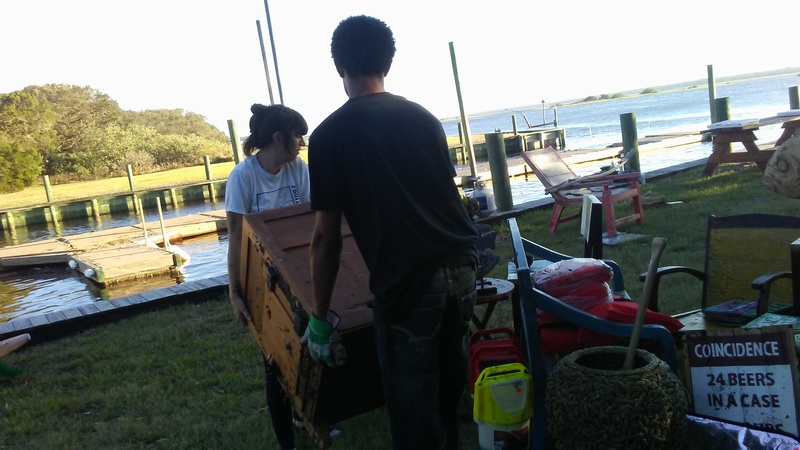 Mutual Aid Disaster Relief helped this family remove all their flooded belongings in St. Augustine, FL. Many lost everything due to Hurricane Matthew and in many instances the losses are not being covered by their insurance. Many more are still without electricity and water. Mutual Aid Disaster Relief coordinated carloads of supplies and volunteers to affected areas, delivering water and other needed supplies and assisting with local initiated decentralized community clean-up efforts. Small gestures of assistance involving a few hours of labor here and there were met with tears of gratitude by those impacted by Hurricane Matthew. Similar to other disasters, local community residents have initiated decentralized recovery efforts, breaking the spell of powerlessness. Neighbors are helping neighbors. 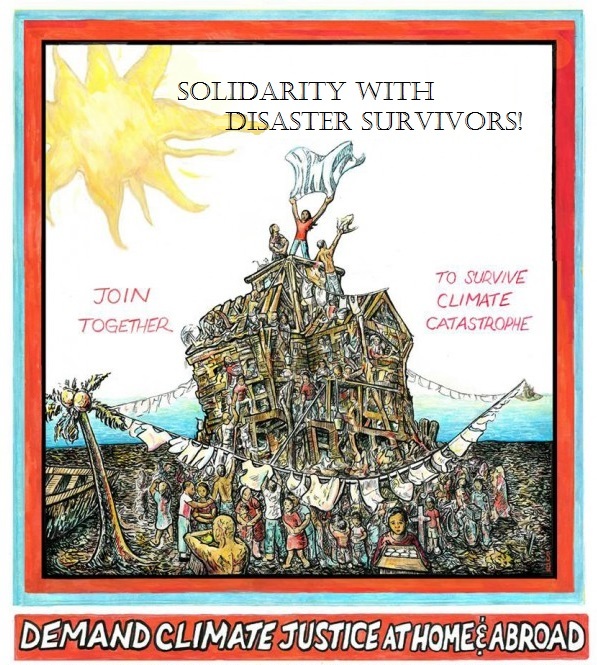 And even though people have suffered losses from the disaster, these same people are assisting others, proving once again that survivors of disasters aren’t passive victims but powerful co-creators of a communal recovery. However as everyday people responding with humanity to their neighbors without much prior knowledge about cleanup, community members are not using adequate personal protective gear to help clean up homes and buildings safely. Click here if you can purchase protective gear for those involved in community clean up efforts. And here is another organization, One Hundred for Haiti, that although U.S. based, is transparent about where money donated goes and is striving to be solidarity-based. We are highlighting these organizations as an alternative to top-down charity-based groups that have a history of not effectively utilizing the large sums of money they were donated to assist disaster survivors, such as during the Haiti Earthquake relief. At the same time that disasters cause so much devastation and loss. They are also moments of possibility wherein individuals and whole communities reject the ethos of profit before people and instead spontaneously come together to care for each others’ needs. Suddenly, a spell is broken, a crack in the walls that divide us widens, people connect, share, and that better world we are constantly fighting for isn’t a distant hope but a current reality, if only temporarily. This communal solidarity and concern for each other is a microcosm of the world we want to create. It is an echo from a future that we bring closer to existence through each small simple act of kindness and courage.